The money making game of teamwork, creative thinking and strategy. 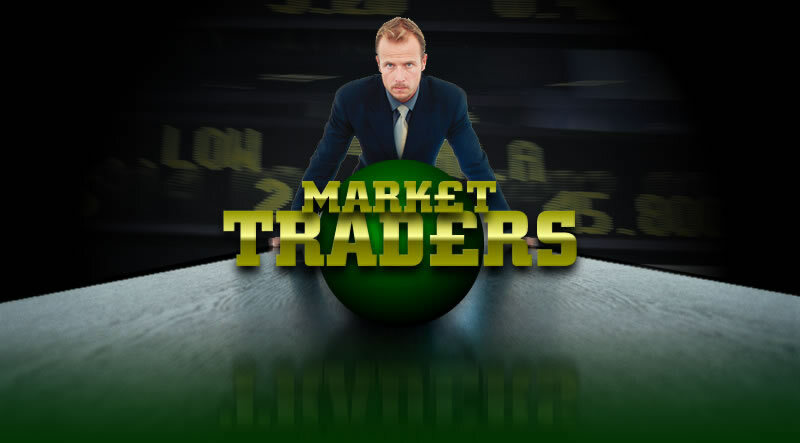 Market Traders is suitable for many age groups and situations. Younger learners will benefit from team working and competition, while older learners will also benefit from strategic thinking and the post-game analysis of performance. Suitable as a teaching aid for business and team building, or as a novel ice-breaking activity, Market Traders will become an essential asset in your teaching toolbox. Best of all, it's free. In the competitive world of business, only efficiency combined with a good strategy will lead to success. In Market Traders your students get to experience the world of commodity production, in which quality products are traded on the stock exchange at constantly changing prices. But do they have what it takes to succeed? Only one team can win. To play Market Traders you need between 2 and 3 teams. Each team represents a manufacturing company that makes CIRCLES, SQUARES and TRIANGLES. Teams sell these on the stock exchange (usually run by the teacher or group leader) to make money. Only accurately made CIRCLES, SQUARES and TRIANGLES can be traded. These are checked by the stock exchange against a standard template before they are bought. CIRCLES, SQUARES or TRIANGLES that do not fit the template are rejected. The trading price for CIRCLES, SQUARES and TRIANGLES keeps changing throughout the game. Teams can only get whatever is the current trading price, negotiation is not possible. The team with the most money at the end of the game wins. No upper limit. Players divided into 2 or 3 teams. Recommended: Computer with SmartBoard, projector, sound and printer. Minimum required: Computer with monitor visible to class/group and printer. Paper, scissors for all players, quality control sheet (download below). You set your own limit, but recommend 20-30 minutes. Indoors recommended. Enough table or floor space for all teams to cut paper and move about the room safely. Allow a couple of minutes for loading. This game works best using a computer with a SmartBoard and projector, allowing the main game board to be visible to all teams at once (like being on the stock exchange). But you can also use a computer with just a monitor, or a laptop. To start the game first run the software (download here, or play online here). When the title screen is visible you can make the game full-screen by pressing CTRL+F on your keyboard, or maximising the window. To proceed from the title screen, click anywhere on the screen. On the "Instructions" page you can review the rules with your group or class. Once reviewed, click "Play" to proceed. The "Game Options" page is where you choose how long you want your game to be in minutes, and how many rounds you want in your game. The only thing you need to know about rounds is that the trading price changes at the start of each round. The more rounds you have, the more often the price changes. To play you must have at least 1 round and one minute of game play. Once you press "Play" the game will begin, so be sure your class/group is ready before you press this button. When the total game time is up the stock exchange screen will vanish and be automatically replaced with the score board and sales chart. To play the game again click the small arrow at the top right of the screen. To come out of full screen mode press the ESC key. Close the game using the X button. Organise your group into 2 or 3 teams. Explain that each team must act as a manufacturing company. The company that earns the most money at the end of the game is the winner. They earn money by manufacturing circles, squares and triangles. These are then sold to the stock exchange - this is normally you, the leader/teacher. The stock exchange must buy all goods offered that are of a good enough quality. You test the quality by placing the proffered circles, squares or triangles over the quality control sheet (download here). Each team should have a quality control sheet, and you (and any helpers) should have one. If the products do not fit along the green lines on the quality control sheet, you must not buy them. When you buy a product, you award the money to the team that sold it by clicking the corresponding button on the game board the requisite number of times, e.g. if Team A sells you 5 circles, you press Team A's circle button 5 times. The software will automatically add the correct amount to Team A's account. The market price for circles, squares and triangles changes randomly and automatically at the beginning of each round. A siren sounds at the end of each round to alert teams that trading prices have changed. Sometimes the market price is £0. If a team fails to notice, and sells products for £0, the stock exchange does not need to tell the team who is selling for £0. It's all part of the game. The game board shows the current market price, the current earnings of each team, the remaining time left in the current round and the remaining time left in the game. At the end of the game a siren sounds and the game board is automatically replaced with the final scores and a breakdown of each team's performance. Details available include a graph of sales over time, the number of sales, the average selling price, and the total value of sales. This is a good opportunity to reward teams as you see fit, but also to discuss why teams scored as they did by analysing each team's strategy (if they had one) and their performance. The basic game idea behind Market Traders is not new. I remember playing a similar game as a teenager myself. Only then I don't think it was called Market Traders and it certainly wasn't computer based (lots of paper and writing things on a big sheet). All I have done is taken an interesting game idea and developed it to work on a computer monitor or SmartBoard with an interactive twist that I think makes it a bit more exciting for players and easier for teachers. Originally created as an ice-breaker activity for my new Interactive Media students it was so successful that I decided to tidy it up, add some features and let anyone who wants it have a copy. This works as a fantastic classroom based team building game. There is plenty of scope for a variety of personalities and skills to be valued within the team, not only leadership. This makes an excellent ice breaker for new groups or classes. The competition between teams breaks down personal barriers, plus it can get pretty exciting. Based on the idea of manufacturing and trading the game encompasses business factors such as quality control, stock holding, supply and demand and fluctuating market value. At the end of the game teams can compare performance such as total sales and average sale price, as well as reviewing their progress as a performance graph.